The most effective way for households to save money on their energy bills is by switching suppliers after comparing the energy market. 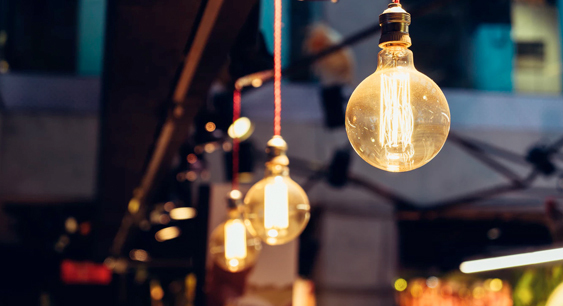 Whether you’ve never switched before, are unsure of the switching process or simply need some up-to-date information, the following guide can help you when comparing and switching energy suppliers. Before switching energy suppliers, you might want to check the terms and conditions of any deal you have with your current supplier as you may face a penalty if you cancel your current tariff before it is due to expire. This is most often the case for customers who have purchased a fixed rate tariff. However, if you’ve received a letter from your supplier informing you that your tariff is due to end, you will no longer incur a penalty if you leave. You’ll usually receive this letter between 42 and 49 days before your tariff is due to expire. If your tariff is coming to an end, you can to talk to your supplier or visit their website to get details of your current tariff and see whether they can offer you a better deal. This option is most appropriate if you’re happy with your current supplier, although it’s likely you’ll save more money by switching to a different supplier. Households typically look for the cheapest available deal when researching energy tariffs. However, if you’re also concerned about the supplier providing the tariff, you might consider researching energy suppliers in your area. This might be particularly relevant to you if your motivation to switch suppliers is due to a negative experience with your current supplier. How much money will the supplier’s cheapest tariff save you each year? What payment options does the supplier offer, and what is the cheapest or most convenient method for you? Does the supplier offer online tariffs, and is this cheaper? * Does the supplier offer dual fuel tariffs, and is this cheaper? Does the supplier offer additional features, benefits, rewards or discounts with the tariff? What is the supplier’s customer service rating? What is the supplier’s complaints handling record? What is the supplier’s fuel mix – the percentage of renewable to non-renewable energy they offer? What are the supplier’s business practices and ethics? If you receive the Warm Home Discount, it’s worth checking whether the new supplier is part of the scheme so you can continue to receive the discount when you switch. When switching energy suppliers, it’s best to use Ofgem-accredited price comparison sites as these comply with Ofgem’s Confidence Code which encourages impartiality, transparency, accuracy and reliability. Ofgem-accredited sites are also designed with the customer in mind, and are committed to providing an easy-to-use service which should make it simple, quick and easy to switch suppliers. Your full postcode – your energy prices will change depending on where you live. The name of your current supplier – found on your energy bill. The name of the tariff you’re currently on – contact your supplier or check your latest energy bill if you don’t know. How you currently pay for your energy – paying with direct debit is often cheaper. How many people you live with. The size and type of your home. The main source of energy at your home. The amount of time you usually spend at home. Some price comparison sites may include options for tailoring the search to your preferences such as specifying the type of tariff you’re looking for – for example fixed, variable, green, online or dual fuel. You usually have the option to use these filters both before and after you’re shown the tariffs. Once you’ve provided the above information, you’ll be presented with a list of the cheapest and most relevant tariffs for your household, with information about the savings you can make and customer satisfaction ratings for each supplier featured. You can use this information to pick a tariff most suitable to your household. Ofgem-accredited sites are obliged to show you tariffs across all suppliers, without favouring any tariffs they earn commission for. This means you can shop with confidence knowing you’re genuinely being offered the best deals on offer. Contact the supplier of your chosen tariff directly and tell them you wish to switch to them. Confirm your switch with the price comparison site, who will arrange the switch for you. This option may not be available for all tariffs, in which case you’ll need to revert to option one. Whichever option you choose, there is very little you’ll need to do as your new supplier will organise and manage the switch on your behalf. All you’ll need to do is fill in a short form which is sent to the supplier you have chosen. You’ll usually need to provide your full name and address, your annual energy consumption figures and your bank account details if you’re paying by direct debit. Your chosen supplier will inform your old supplier of the switch and set up your new account. Once the switch has been arranged you’ll be given a cooling off period of between seven and fourteen days in which you can change your mind. You’ll also be given the switching date, which is the date your tariff will be switched to the new supplier. On this date, you’ll need to provide a final meter reading to your old supplier and send an opening meter reading to your new supplier. You’ll also need to make sure you pay your final bill to your old supplier, settle any outstanding debts and cancel any direct debits. If you’re owed money because your account was in credit when you switched, it’s important to check your bank account regularly to make sure your old supplier returns the money to you.